What a stand out piece! Ever wanted to wear the universe as a piece of jewelry? This weight comes close! The dichroic glass has a magical multicolored iridescent finish that looks like tiny stars in a tiny universe. 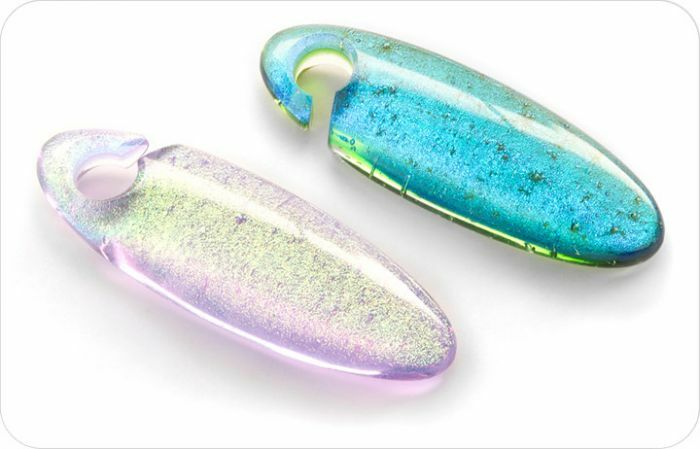 The cocoon weight is a long, thin oval and comes in sizes Small and Large. Hand-crafted in Oaxaca, Mexico, this item is priced per one. Please check out for Quantity 2 if you would like a pair.